The U.S. Department of Transport has recently announced that PTC implementation reached a significant progress in the last two years, compared to the last 8 years. Between Q1 2009 and Q4 2016, railway companies had only implemented PTC on 10,163 of nearly 57,848 required route miles, while between the close of 2016 and the close of 2018, this improved to 45,933 out of 57,848. In only the last two years, that’s an improvement from 16% to 83% for freight, and 24% to 30% for passenger rail. Similarly, in the eight years between 2008 and 2016, just 9,465 locomotives were equipped with PTC from a total of 22,577. Between 2016 and 2018, this number rose to 19,592 of the required locomotives in service. As a percentage, in the last two years locomotives equipped with PTC increased from 42% to 100% for freight and from 41% to 91% for passenger. Just 212 track segments were completed in the eight years. In only two years (2016-2018) that number shot up to 750 at the close of 2018- between freight and passenger rail, this was a 24-98% improvement for freight and 13-92% for passenger rail. From the end of 2016 to the end of 2018, rail companies deemed “at-risk” of failing to meet the PTC deadline dropped from 18 to 0. These represent larger gains in the last two years than in the prior eight years combined. In December 2018, four railway companies have fully implemented PTC systems on their required main lines, and all other rail subject to the Congressional PTC mandate satisfied the six statutory criteria necessary to qualify for an extension. The Quarter 4 data showed PTC systems are in operation on almost 46,000 of the nearly 58,000 route miles where the technology systems must be deployed, and PTC systems are in revenue service demonstration on an additional 288 route miles. By the end of 2018, all necessary PTC system hardware had been installed, radio spectrum acquired, employees trained, and testing initiated. On February 6, 2019, FRA convened the first of six PTC Collaboration Sessions planned through 2020 with all railroads responsible for implementing PTC under the congressional mandate, and major industry associations. At the session, FRA safety specialists outlined major steps the industry must accomplish within the next two years. 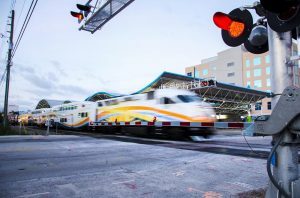 In December 2018, 33 railway companies submitted a written notification formally requesting FRA’s review and approval of an alternative schedule and sequence, and in February 2019, FRA has formally approved 25 requests.